Logbook and payday loans have grown in prominence and popularity in the past five years as lending from mainstream lenders contracted. If you have a poor credit history the options for credit are far more limited and instant cash from logbook or payday loan lender may seem an attractive option. But both need to be handled with extreme care. This is a loan that is secured against your car. Often the loans are available to anyone who owns a car and no credit checks are carried out. They offer a percentage of the trade value of your vehicle. It means almost immeidate access to cash, but at a price. 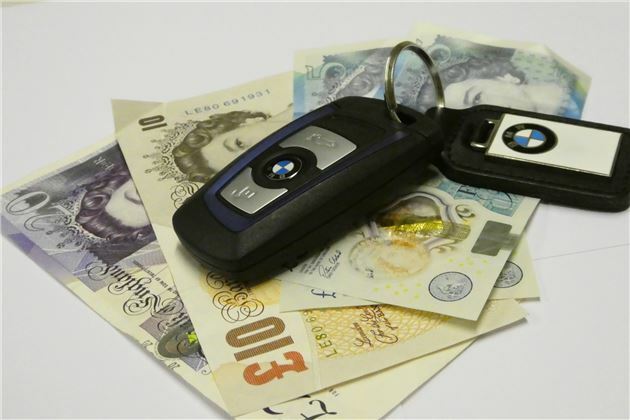 In a similar fashion to a pawnbroker, the lender will keep hold of the improtant documents associated with the car including the V5 (hence the name 'logbook loans'). You will then sign a credit agreement and 'bill of sale' that will give temporary ownership to the lender. What that means is that if you can't keep up your repayments, it will be carted ff to auction. If the sale proceeds do not cover the value of the outstanding loan, you will still need to make repayments. The interest charges can be upwards of 400% APR. These loans are essentially advances on your salary to cover short term cashflow problems. You take out a loan of a up to around £1000 and within 28 days you will be expected to have paid it back. The cash is immediately available and no credit check checks are carried out. The APR on these loans is often astronomical and seeing a representative 1700% APR is not unusual. The lenders will argue that using APR as a guide is unfair as these are short-term loans. But, they remain an expensive way of borrowing money. Many lenders charge £25 per £100 that you borrow. That means that is you borrow £500, you'd have to repay £625. Where these loans are particularly controversial is how they encourage customers to roll their balances over to the following month ... and more. All the time the interest charges increase. High APRs and less than transparent processes have attracted the attention of The Office of Fair Trading. It's far from pleased with the conduct of these types of lenders. March 2013 saw the OFT announce that it was giving the leading 50 payday lenders (accounting for 90 per cent of the payday market) 12 weeks to change their business practices or risk losing their licences. It uncovered evidence of widespread irresponsible lending and failure to comply with the standards required of them. At the same time it announced that it was refering the payday lending market to the Competition Commission after it found evidence of deep-rooted problems in how lenders compete with each other. What did the OFT do? The action was announced in the final report on the OFT's compliance review of the £2 billion payday lending sector. The review found evidence of problems throughout the lifecycle of payday loans, from advertising to debt collection, and across the sector, including by leading lenders that are members of established trade associations. not treating borrowers in financial difficulty with forbearance. The OFT says that payday lending is a top enforcement priority. Customers often have limited alternative sources of credit and are frequently in a vulnerable financial position. Combined with this, the high rates of interest charged by many payday lenders can make the consequences of irresponsible lending particularly acute. The OFT also uncovered evidence suggesting that this market is not working well in other respects and that irresponsible lending in the sector may have its roots in the way competition works. Lenders were found to compete by emphasising the speed and easy access to loans rather than the price and also to be relying too heavily on rolling over or refinancing loans. The OFT believes that both these factors distort lenders' incentives to carry out proper affordability assessments as to do so would risk losing business to competitors. Too many people are granted loans they cannot afford to repay and it would appear that payday lenders' revenues are heavily reliant on those customers who fail to repay their original loan in full on time. On 19 March 2013, the OFT withdrew the consumer credit licence of MCO Capital Limited, a payday loan provider. What are alternatives to payday and logbook loans? Many of the companies offering payday and logbook loans actively market to those who can't get credit through conventional means. That means that viable alternatives are thin on the ground. Other ways to avoid a payday loan include asking your employer for an advance, selling stuff you don't need and requesting an authorised overdraft from your bank or building society (though this should also be treated with caution as it can be expensive).